While on break, I had three weeks to come up with a composition for dark glass. 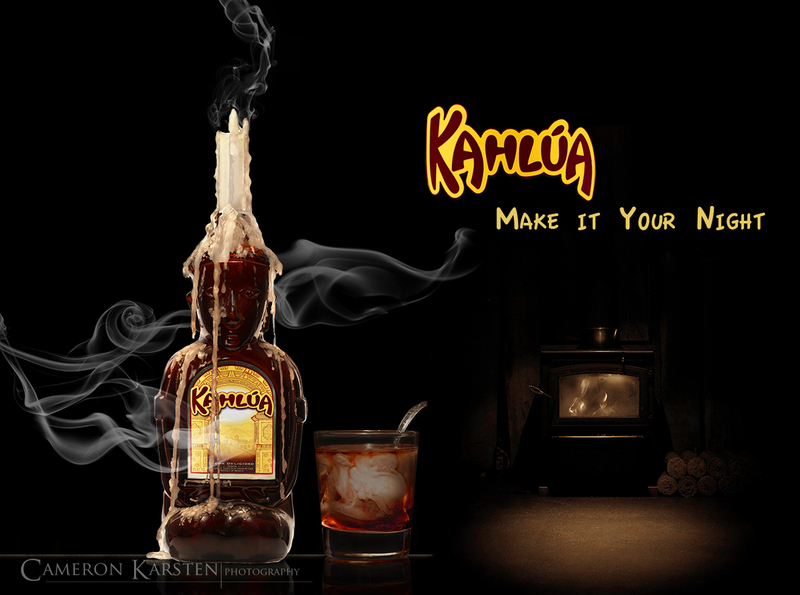 When I was young, my grandfather gave me this old Kahlua bottle, and for years I burnt a candle in the crown. So, with the ambience of candlelight, I created an evening scenario with the added smooth tasting digestif White Russian. I shot the bottle, and from there worked around the composition. And since it was an old bottle, the label was long removed. Therefore, I took today’s bottle, captured the label, and masked it within PS5, shot the tumbler with the White Russian, added reflections and a tabletop, brushed in the smoke and took my archived image of a wood stove fireplace to fill the background. The text was selected from the label and fit within the frame. Complicated but well-worth the time, as well as multiple White Russians consumed throughout the process.